The uniform is a very important part of scouting, and we ask that the boys be in uniform for pack events and field trips. Uniforms and other supplies are available at the Greater Niagara Frontier Scout Store. You can also buy online at www.scoutstuff.org. Class B Tee Shirts are provided by the pack. Tiger, Wolf & Bear Uniform (1st–3rd graders) - the official blue Cub Scout shirt and the official Cub Scout belt. Tigers wear the orange neckerchief. Wolves wear the Gold neckerchief. Bears wear the blue neckerchief. Right Sleeve – US Flag (even with shoulder seam). 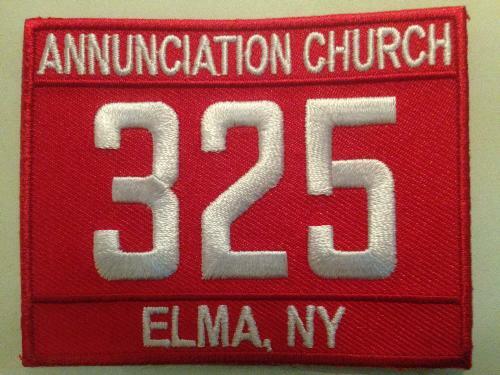 Left Sleeve – Greater Niagara Frontier Council patch (even with shoulder seam), Pack Number. Left Pocket – Ranks and Arrow points earned, Purple World Scouting Crest (centered above the left pocket). Webelos (4th & 5th Graders) - Webelos are allowed to wear the blue shirt though they may switch to the khaki Boy Scout shirt with blue shoulder loops. The khaki shirt will be used throughout the Boy Scout program (grade 6 up). Webelos wear the plaid Webelos neckerchief. Webelos Left Pocket – Webelos Award (centered on pocket), Arrow of Light (centered below pocket), any knots that have been earned, Purple World Scouting Crest (centered above pocket). $25-$40 Uniform Shirt (short sleeve recommended): Blue for 1st, 2nd & 3rd grade. Khaki for 4th & 5th grade. $10 Belt with buckle (this will be used to hold achievement belt loops).